Back in the day, before the internet even existed, the only way to really succeed in the music industry was to get a deal with a record label. Labels had all of the control, they had the radio connections, and they had the money for touring and promotions etc. Nowadays, technology has enabled us to get a serious head start on everything. The ‘singing on the corner method’ that artists used back in the day, has been replaced with uploading your music and videos online. Technology has allowed us to reach the masses without the use of a major label. MAJOR label = MAJOR network. Labels have the control that they do because they are connected to all of the major media brands, radio stations, celebs, managers, etc. Major labels have major reach and influence. Remember, they once had full control of the industry, so of course their network and power is vast. If you sign to a major label you have a larger network to help launch your career. Some independent labels also have large networks, but in this case they are usually connected to a major label in some way. A network takes time to build, and many artists don’t have a clue on how to reach out and buildrelationships to help them along in their career. Artists mainly focus on the art, but unfortunately music doesn’t market itself. It takes a large network and a lot of promotion to really get your music out there, and this can be very discouraging – which is why most indie artists long to get that major deal. Money is probably the most desirable asset of a major record label. Making music is EXPENSIVE. Before it pays off it will mean paying out. From recording to performing to branding and promotion and everything in between – you need a nice budget to really get anywhere in this industry. The most obvious reason why a major label is attractive to indie artists is because labels have the budget to properly launch an artist. In order to successfully release an album and expect it to have widespread appeal, a significant amount of money must be invested in the release. What artists usually don’t realize is that when you sign to a major label, they might give you this big advance and allow you to record in huge fancy studios, and your single might be all over the radio, BUT once them royalties start to come in, you (the artist) are now responsible for paying ALL of that money back! The artist is the last person to get paid. Labels LOAN you money and expect a nice hefty return. So what if you release your album and it doesn’t do as well as everyone expected? How are you going to pay back the label? This happens more than you might think. 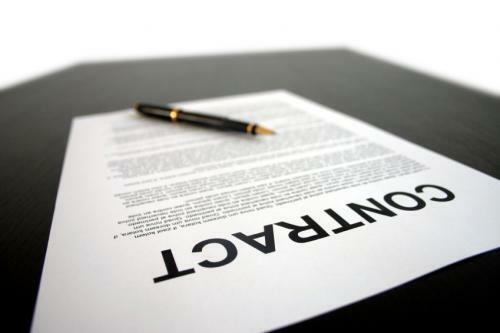 On the other side of things, signing to an indie label or even doing it entirely yourself, can be a bit of a struggle. Independent labels don’t have the huge budgets that major labels have, and indie artists usually don’t have thousands of dollars to devote to their music career. However, there are ways of getting around this, like finding an investor or sponsor to help you with your music needs. This might take a bit longer and there is a lot of work involved, but it is definitely possible. This leads me to the next factor that you might consider when it comes to signing to a major label – profit. As an independent artist, when you make a sale, it is your money to keep. When you put your song on itunes, amazon etc – the money that you make goes directly to YOU. If you did some research, you will see that artists signed to a major label only make a tiny fraction off of album sales. So if the label is selling your album for $12, well you might get $0.75 cents on each of those albums. Why is this? It is because the label spent the money on getting the best (most popular) producers, recording in the most expensive studios, plus spent thousands and thousands of dollars on promotion, and don’t forget you also have to pay your manager and all of the legal fees – and you must pay all of that back before you see a profit. The only thing that gives the artist ANY leverage is previous sales (before you were signed)! Control is also a major issue. When you go the indie route you have complete creative control over your music. You can record whatever song you want, feature whoever you want, add whatever final touches your heart desires. You can style yourself the way you would like, you can perform wherever you want and you can pretty much make your own schedule. Independent artists have control of their career. The closer you get to a label, the less control you have. This is part of the reason why it is better to build a network and gain fans yourself – because then once a label approaches you, they can see that you have already been successful doing things your way, which will allow you to have more say in your contract with the label. One thing that is lacking with major labels is personal relationships. With all the changes going on in the music industry, major labels have sort of a revolving door. Major labels have laid off most of their staff in the last few years. This means that when you sign to a major label, that one person that originally fell in love with your music, might actually be gone before you even get a chance to release your album. This now leaves you fighting for attention from the label and can result in you not being able to even release your music. Because indie labels have smaller staffs and smaller rosters, it’s easier for musicians to develop a close relationship with the people working on their record. They sign you because they love your music and believe in your music and your brand. Going the indie route, you can connect more with your fans and build a close relationship with those that you choose to work with. Signing to a major label leaves you with less control. 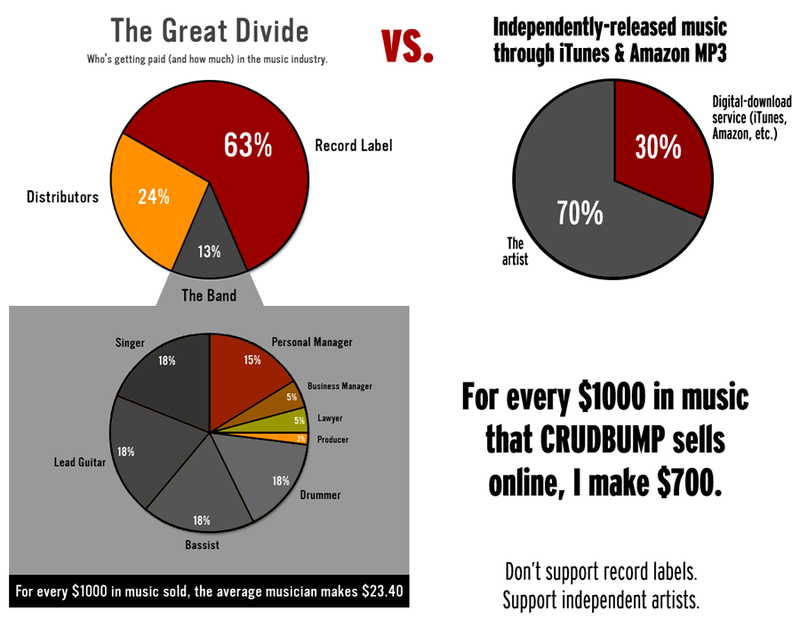 Major labels look at you more as a dollar sign, while indie labels care more about the artist themselves. There has been a huge change in the music industry. While I’m not against signing to a major label, I am simply stating that artists need to get out of that old mindset of “I have to get signed to a major label to make money doing what I love.” Your main focus should not be to release as much music as possible and find that one person that is going to get you signed and all of your dreams will come true. This is not a way to go about your music career. The music industry has changed, therefore your approach must change with it. Labels don’t like the change because they now have less control. As an artist, you should embrace this change because it allows you to build up your empire without a label, and therefore gives you much more control of your career. Most labels won’t even consider a new artist unless they have a proven track record of consistent performances, and record sales on their own. Record labels can no longer take a risk on launching a new artist that has no fanbase. If you do want to eventually get signed to a label, that’s fine. Just don’t let your main priority to be finding a label contact – all that will do is give you access to a 360 deal where the label has full control and makes a percentage of EVERYTHING you do. You as an artist must take things into your own hands. Don’t let a major label be your focus, let building your network, strengthening your relationships and perfecting your craft be your focus. Combining live shows with heavy internet promotion will result in a solid fan base. When you have that, you have the choice to either move to a major label or to continue making money doing what you love. There are more avenues than ever before for indie music in general, and that means musicians have a better shot at success with a self release. Go out there and build solid relationships! In a few years time, you can definitely reach a lot of people!